This weekend was a good one. We were booked pretty solid, and it felt good to hang out with people for a change. We have been hermits a lot lately simply because we are working towards Richard proposing his dissertation, but it was a nice break. After work Friday, Richard had a happy hour get together with a bunch of faculty, students and alumni from the Minnesota State University Mankato I/O master's program. Wow, that was a lot for one sentence. Basically, people from that program came down to Dallas because they have a lot of alumni in the area and Richard's Ph.D. program is very connected to that program so he was invited along with some other students from his program. We were able to see some friends from Louisiana and meet some of the students from the program as well as some other alumni that live in the area. It sounds boring, but it was fun to hang out and drink and meet new people. Then one of our friends from Louisiana spent the night at our house so we even got extra time with her. 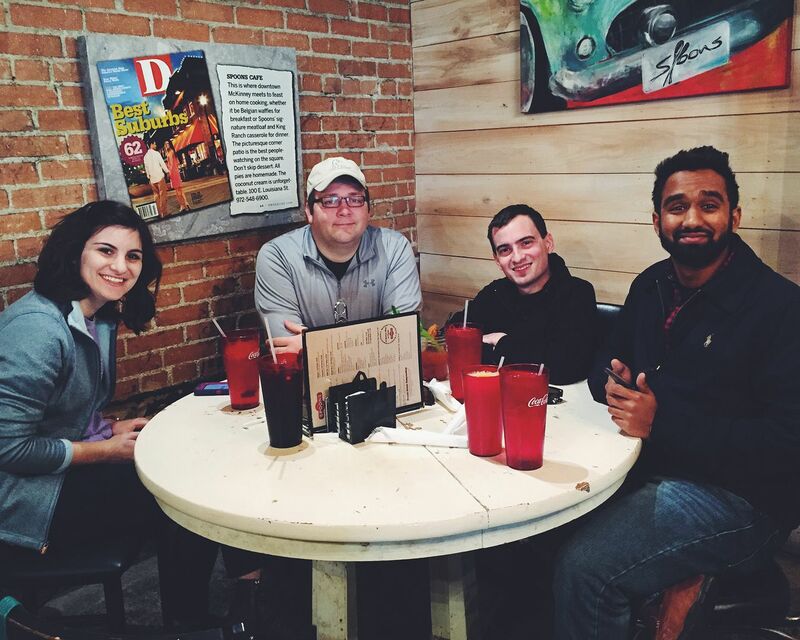 Before some of the Louisiana students headed back to their state, we went out together to brunch. We went to Spoons in McKinney. Richard and I have heard great things about that place and it did not disappoint. It is located in the Square in McKinney, which is a cute downtown area nearby that we love. The atmosphere was great and the food was even better. We will definitely be back soon. We spent the rest of the day organizing and unpacking our closet that we finished over the weekend. It is beautiful and I will have to share what we did in a separate post. In the meantime, I will be spending a whole lot of time in my closet just admiring it. We started the morning off with some yoga at Lifetime before running a bunch of errands, including getting new pictures for our passports, eek! Then we headed to a friend's neighborhood crawfish boil. 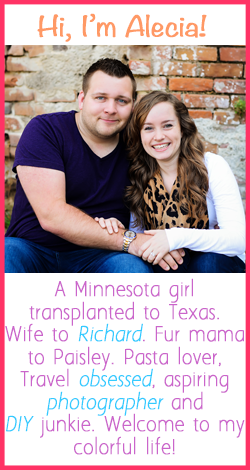 We know them from Richard's program in Louisiana and they recently moved to the Dallas area as well. We have hung out with them a few times and already know their neighbors so we had fun getting together with them again. They were hosting a crawfish boil (yes, we still live in the South) and they cooked up some burgers as well. 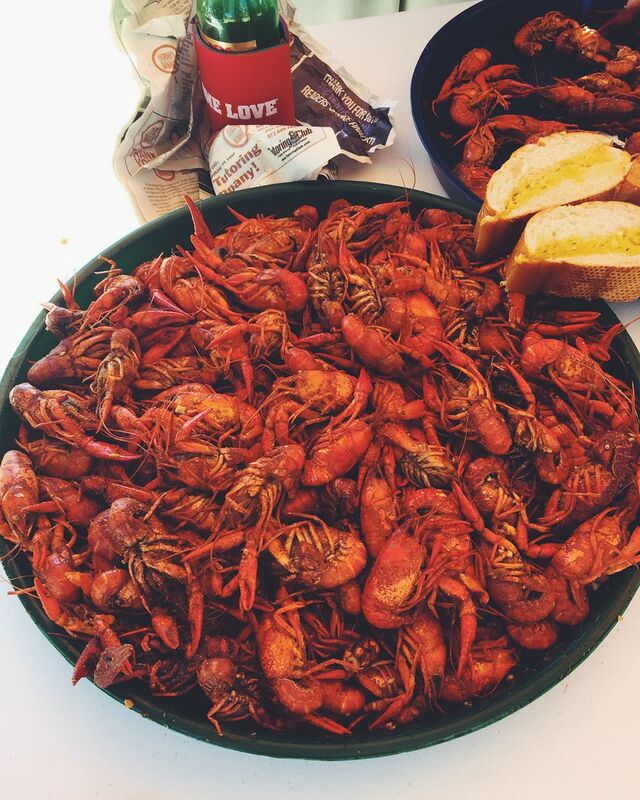 Richard was in heaven since that is the thing he misses most from Louisiana. 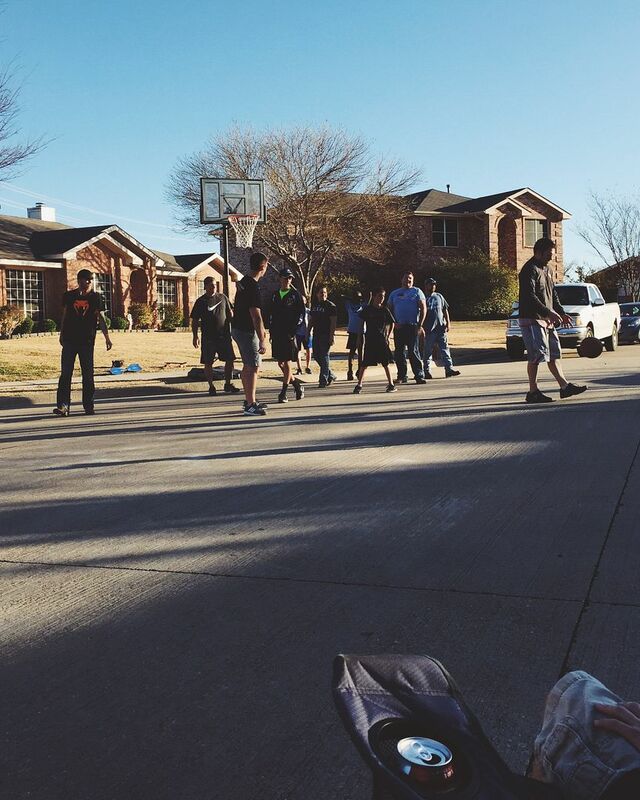 They also have a lot of older kids in the neighborhood so they played adults vs kids basketball for quite sometime. Even though the adults were extremely outnumbered, they still won. It was a good time and fun to watch. Overall, it was a really great weekend and even if I did not take that many pictures, it is the first time I have really taken pictures in a few weeks. So much fun and I am happy for the friends we are making in Texas!